Subject: Make People STAY In Your Blog And Turn Them Into Leads And Sales! Visitors are coming in, but they leave in a heartbeat, without even checking out what you have to offer. Certainly, it’s discouraging and frustrating. Even if they are scrolling around your website! Yes, That’s Right…With This Little “Trick” People Can Watch Your Videos While They Check Out The Other Contents Of Your Blog… Which Will Allow You To Keep Them Engaged ALL The Time. I know that perhaps you are confused and asking yourself how’s this even possible. That’s alright, allow me to briefly explain how this works. Usually, when visitors land on your website and play a video, they explore your blog while the video is playing. This can lead to a BIG problem: the lack of engagement, which usually results in leaving your site without taking any kind of action. When I was watching how visitors landed on my website and leaving without performing any kind of action I was beyond hopeless. I knew that something was wrong, but I just couldn't manage to find out what was causing this massive exodus from my site. What if I could make videos to "go" where my visitor's attention was focused? I immediately started working on this and after endless nights, gallons of Red Bull, and scarce meals, I created a genious, powerful, WordPress plugin! THE RESULTS WERE SIMPLY STAGGERING. 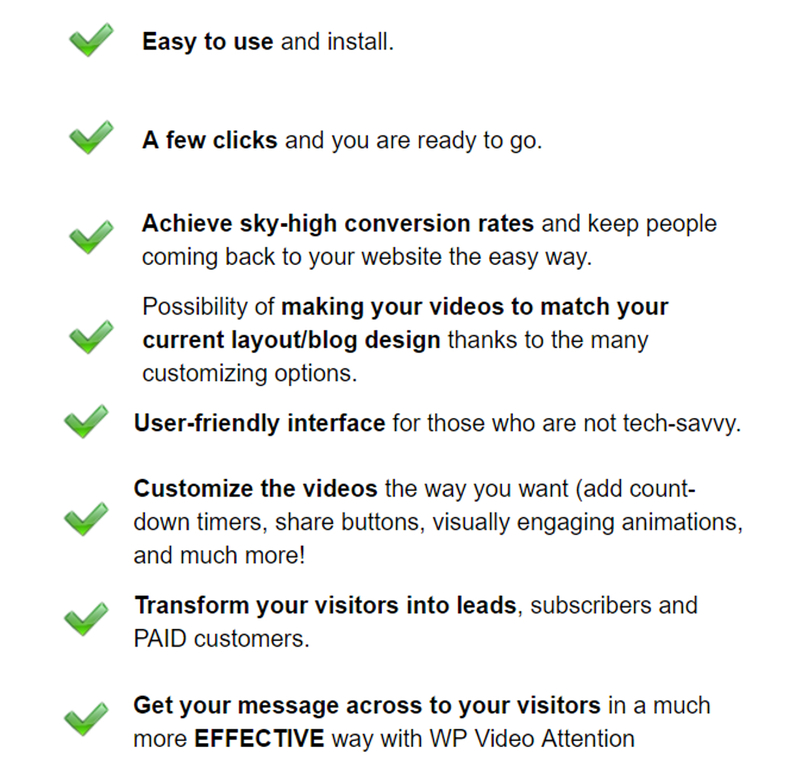 Tiger WP Video Attention is a marvelous, practical WP plugin that allows you to easily clip your video to any corner of your page by serving as a smart widget.